A detailed survey of commercial baby foods has found that many do not measure up in meeting the dietary needs of an infant when weaning, compared to what breast milk or home-made foods can provide. 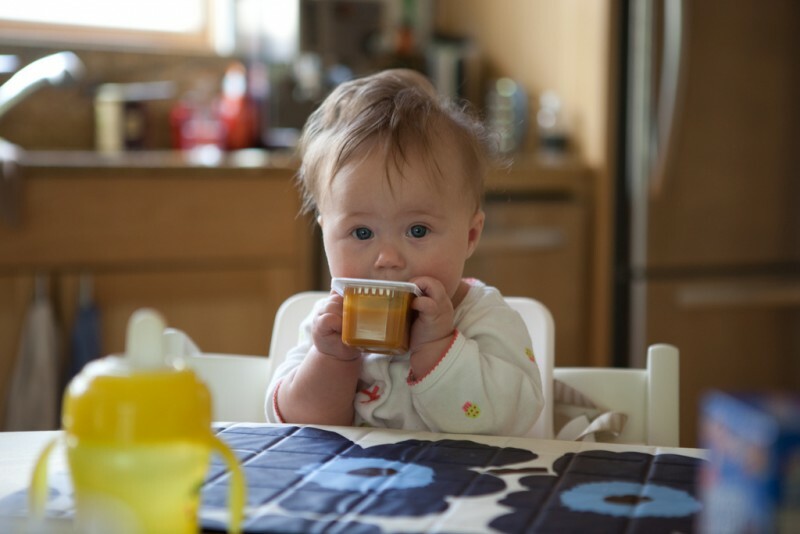 The introduction of solid foods is an important stage in the development milestones of an infant. Commercial infant foods are popular choices that busy parents turn to, but there is a question about how these foods compare to breastmilk or home-made foods. A research team in the United Kingdom analysed the nutritional content of all baby foods available in the United Kingdom that can be used during weaning. A total of 462 ready made meals, powdered meals (that are reconstituted with milk or water), cereals and finger foods such as rusks were analysed. The range of foods surveyed is similar to what is available in Australia. Almost two-thirds of the commercial baby foods surveyed were sweet based. This raises the concern that too much exposure to sweet foods in infancy can lead to children developing a higher preference for these foods. A high exposure to sugar at age 3 is linked with a greater risk of dental caries by age 6. The energy content of the commercial foods was on a par with breast milk which may seem a positive finding. The reason though for introducing solid foods is to increase the energy content of a baby’s diet and provide more nutrients. Commercial baby foods did not adequately achieve this. Another concern noted by the researchers was that 44% of the foods were marketed for use in infants from the age of 4 months. This recommendation goes starkly against current breastfeeding guidelines which advise breastfeeding to be the exclusive source of nutrition up to age 6 months. The nutritional quality of the commercial foods was also compared against typical homemade foods. The comparison showed commercial foods generally had half the nutrients of typical home made foods per serve with the exception of iron content. When beginning infant weaning from the age of 6 months, exposing them to a wide-variety of home-prepared foods will be a superior option to the commercial foods available.